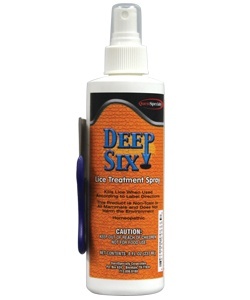 DEEP SIX is a homeopathic lice treatment spray that kills lice when used according to label directions. 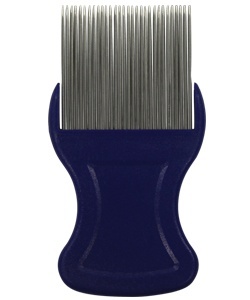 Use on dry hair or other affected areas. 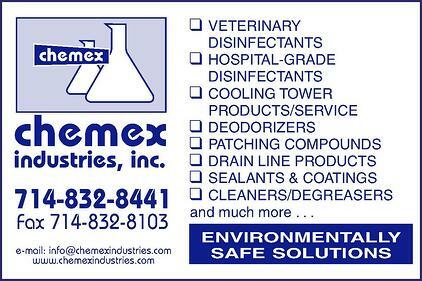 See label directions for specific uses. The head louse is a parasitic insect that can be found on the head, eyebrows and eyelashes of people. 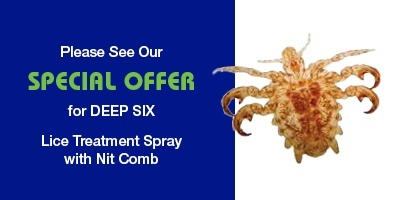 Head lice spread by direct contact with the hair of the infested person. Head-to-head contact is common during play at school, at home and elsewhere such as at sports activities, playgrounds and slumber parties. Sharing clothing, or articles such as hair ribbons, combs, hair brushes, stuffed animals and lying on a bed, couch, pillow or carpet that has recently been in contact with an infested person are other ways to spread lice.